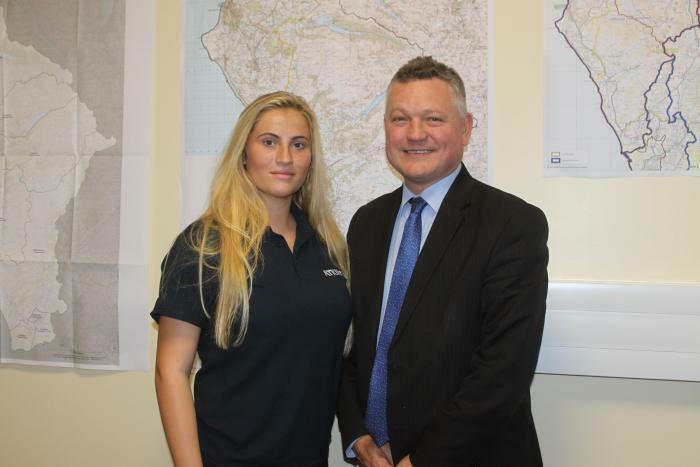 Ellie, 18, from Seaton, was inspired to get into the field by Copeland Mayor, Mike Starkie, after receiving advice and guidance from the successful businessman as part of her Dream Placement Scheme at NuGen, earlier this year. Ellie, a former Keswick School Sixth Form pupil, is planning to incorporate one of the models the Mayor explained to her, as part of one of her tasks at Atkins - to produce a local project management guide. Ellie is no stranger to management having witnessed her mother, a local property developer, work on projects as she was growing up. Ellie said: “During my Dream Placement Scheme, I met Mike Starkie who gave me a really insightful talk about goals and maintaining focus by working out where you are, what you want, and the route to get there. This has stuck with me. “It’s not only Mike that I’ve been inspired by, watching my mum work on projects and helping out when I could was important in helping me develop the drive to apply myself. After the successful completion of two years training at Atkins, based at Westlakes Science Park, Ellie will receive a Foundation Degree in Project Management. Mr Starkie said: “Ellie is a shining example of a young person who has the drive and determination to carve out a successful career for herself.